In an effort to keep the Olson 30 Hull Database up to date, you can submit your current and past information using the form below. Information will be kept confidential, entered into the Olson 30 Class Association hull database and not shared or otherwise used except to maintain the list of Olson 30’s in use. The Class Association has a challenge keeping up to date with changing boat names as they change hands. If you are able to provide the full hull number of any Olson 30, please do so. The full hull numbers will allow us to find errors and duplications. 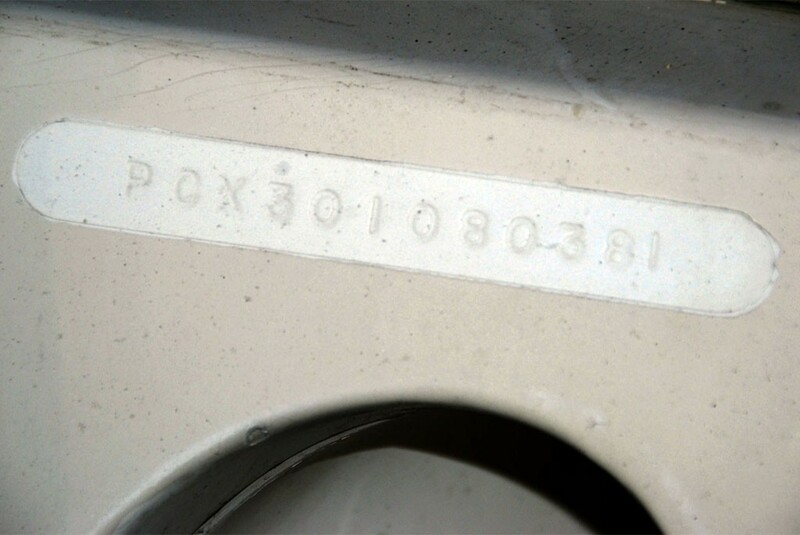 An example of your boats Hull Number is seen in the image above. 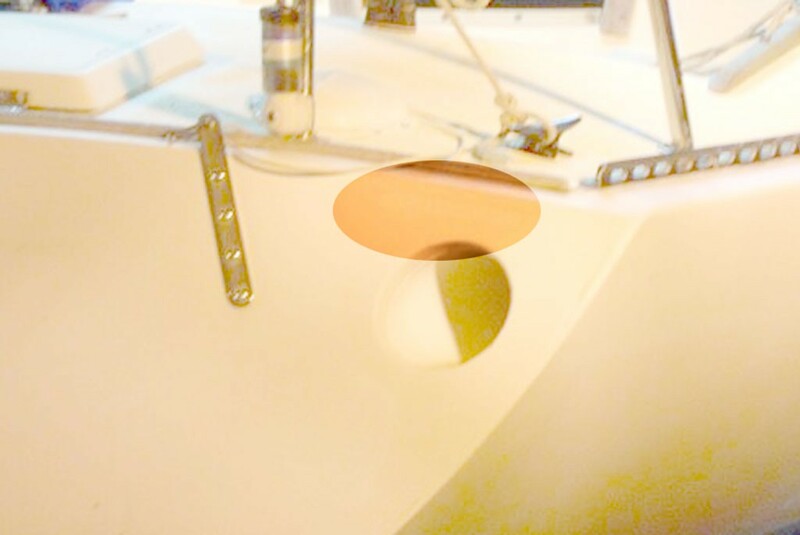 Note that the hull number is moulded into the transom just above the MOB pole launch tube. Hull numbers follow this format: PCX30 should be common and means it was built by Pacific Boats and is 30 feet. 108 is the hull number. 0381 is the date of Manufacture – March – 3rd month – of 1981. Hull numbers 1-99 are preceded with a digit 0, so hull number 45 appears as 045.